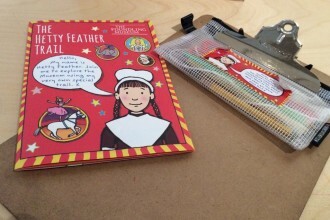 Classic British children’s books have entertained generations and the inspiring authors give us plenty of reasons to explore the UK. Travelling with my young daughter gives me the excuse to visit these children’s literature locations and indulge my inner child too. On a family road trip around the UK I found myself getting to know more about this prolific author when we visited the Lake District. Hill Top is the 17th century farmhouse where Beatrix Potter wrote many of her famous children’s stories. 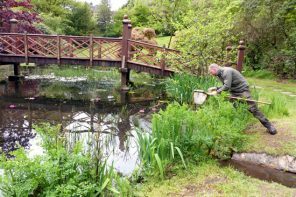 Visitors can explore the house and gardens and also see plenty of ‘Peter rabbits’ frolicking in the fields. 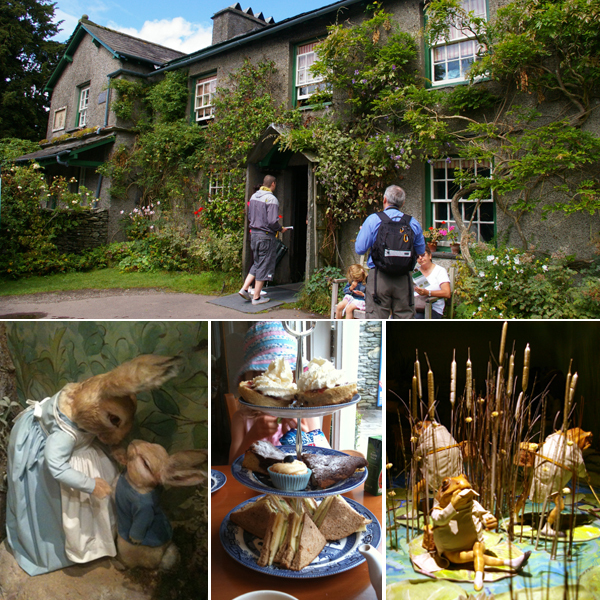 World of Beatrix Potter is an indoor attraction covering all 23 Tales by Beatrix Potter with models and story recreations. Beatrix Potter Gallery shows her original watercolours and sketches in a 17th century building that was her husband’s office. 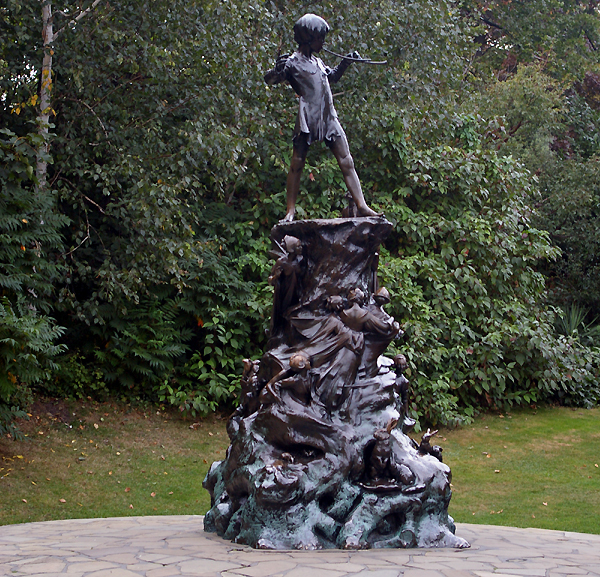 Kensington Gardens in London has a wonderful bronze Peter Pan statue, left overnight in 1912 by the author J.M. Barrie to inspire families to love the stories of the boy who never wanted to grow up. His legacy lives on as a royalty from all productions and book sales goes to Great Ormond Street Hospital and they have a Peter Pan statue by their entrance too. In Scotland, you can visit J.M. Barrie’s Birthplace. Hartfield in East Sussex is Pooh Country. 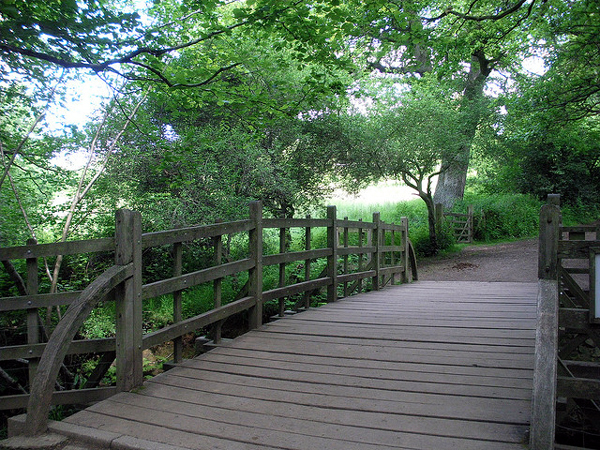 You can visit the real Winnie the Pooh story locations such as Poohsticks Bridge and The Heffalump Trap. A.A.Milne wrote the Winnie the Pooh story books about the adventures of his only son, Christopher Robin, who explored the countryside with his Nanny and would take his father to see their special finds when he was home from work in London each weekend. As well as the country walks, a visit now should always include a trip to Piglet’s Tearoom. 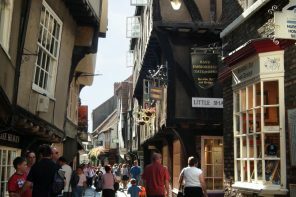 Oxford is great for fans of Alice in Wonderland (and Harry Potter) as I discovered on my Family-Friendly Oxford trip. Alice Liddell was the daughter of the Dean of Christ Church and Charles Dodgson, aka Lewis Carroll, was a maths tutor who enjoyed making up stories for Alice and her sisters. 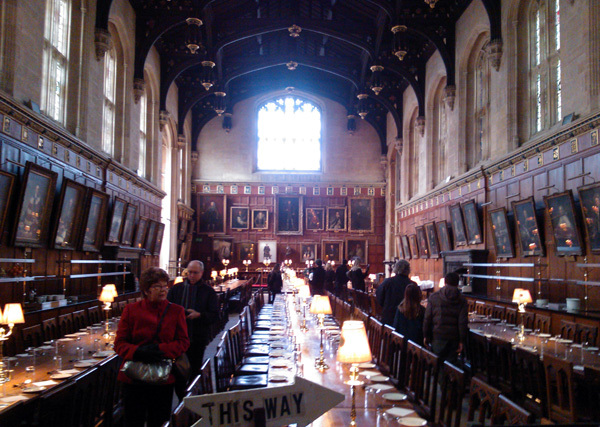 You can see where he drew inspiration, particularly from the fireguards in the Great Hall at Christ Church. Warner. 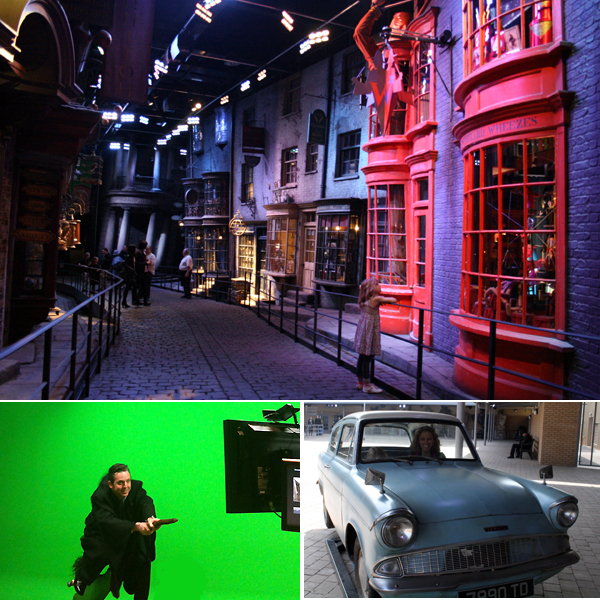 Bros Studio is a short trip from London and is the actual studio used for the Harry Potter films. And when filming was done outside of the studio, a lot happened in London so you can see many Harry Potter film locations in London. 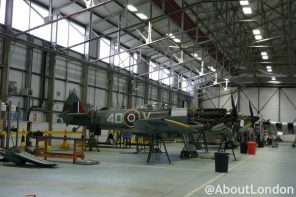 This article was first published on the VisitBritain Super Blog in 2012. More great ideas for UK family holidays include The Isles of Scilly, Suffolk and Lincoln.